Tax returns can be complex to complete, individuals and organisations often find them stressfull and with various deadlines to meet, they often find exceed the deadlines which result in penalty charges. Taxwise Accountancy Ltd aim to take away the trouble faced with completing tax returns. Corporation Tax – this is only issued to limited companies and have to completed using the comapies year end accounts. Partnership Tax Returns:- this is issued to a partnership after the tax year end of 5 April and must be filed by paper on 31 October, or online by the the 31 of January. The individual partners must also complete self assesments. Self Assesment:- the issues and filing of these folllows the same rule as Partnership Tax Returns, but self assesmenta are issued to individual people, more of the is explained later. Income from a non-limited company busiess, sole traders, partnership business. Income or wages received gross, e.g consultants who received payment from several companies/people or someone who receives income from one company but the company does not operate a PAYE scheme. The two types of self assesment tax returns are “short return” and “full return.” Short returns are issued to people with very simple tax affairs and full returns are issued when the tax affairs are more complex. 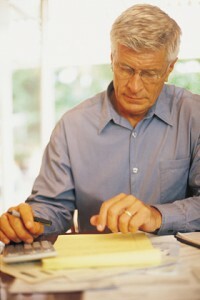 Limited company directors are also issued full returns. Full returns will have extra supplementary sections to complete. Before we file your return, we run checks to see if there are tax savings to be made on you reurns and we also check for any inconsistencies in you return to reduce the risk of a HMRC tax investigation into your tax affairs. We offer fixed and competitive prices if all information required to complete the tax return is provided in a reasonable timescale, this leaves you free from any stress or worries as you returns and informations are in professional hands.